Hello and welcome back! It's time for another TGIF Challenge, this time focusing on piercing or stitching. Hello and welcome back! It's a new month, and time for our next TGIF Challenge. It's a color challenge this week, and I love this bright combo. Hello and welcome back! I'm here with this week's TGIF Challenge, and our focus is on Stampin' Blends markers. I made a simple card, and focused on the beautiful colors you can get from the Stampin' Blends markers. Plus, I love a rainbow, don't you? I used both the dark and the light markers in Lovely Lipstick, Pumpkin Pie, Mango Melody, Granny Apple Green, Bermuda Bay and Rich Razzleberry. I stamped the letters overlapping from the Lined Alphabet Stamp Set in Black Memento Ink. I wanted to get an ombre look (light to dark) from top to bottom, and also highlight what the colors look like when blended with their neighboring color. Hello and welcome back! 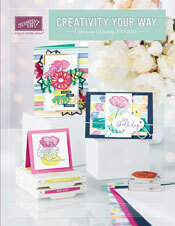 I'm here today sharing the next TGIF Challenge 202 which is a sketch challenge for the week. It's a pretty versatile sketch, and you'll see several different takes on it this week. Hello and welcome back! It's time for this week's theme challenge featuring bunches of butterflies. I decided to feature another card using the Needle & Thread Bundle, which is one of my favorites from the current Stampin' Up Occasions Catalog. the butterfly patterned paper, the small trio butterfly stamp and the stitched butterfly stamp which coordinates with the Butterfly Duet Punch. The card base is Petal Pink Cardstock, and I stamped the trio butterfly in Petal Pink ink. I wrapped the card with the Petal Pink shimmer ribbon from the Metallic Ribbon Combo Pack. I used the new Rectangle Stitched Framelits Dies to cut a large frame from the Needlepoint Nook 12 X 12 Designer Series Paper. The stitched rectangles go perfectly with this suite! I also cut two layers of the frame from Whisper White Thick Cardstock, and glued all three together. Then, I adhered it to the card base. I stamped the greeting in Night of Navy ink onto more Whisper White Thick Cardstock, and cut it out with the label shape. It's adhered over the ribbon and the rectangle with Stampin' Dimensionals. Hello and welcome back! It's time for this week's TGIF Challenge with this awesome sketch! Hello and welcome back! I have back to back posts this week, and this one is for the newest TGIFC challenge, featuring our beautiful Designer Series Papers. Hello and welcome back! It's time for this week's TGIF Challenge, which is a fun sketch. Hello and welcome back! It's time for this week's TGIF Challenge, a cute sketch that's perfectly timed for Christmas. 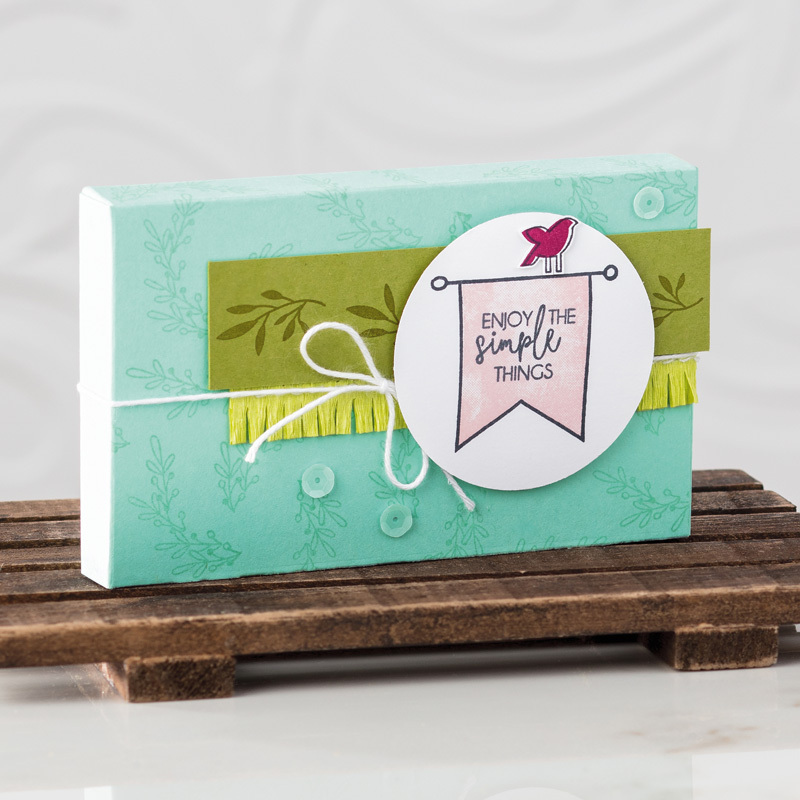 I was inspired by the fact that this card looks like a gift, and I have wanted to play with the Tags & Tiding Bundle. Aren't they cute together?